A new report finds that high-tide flooding is happening across the United States at twice the rate it was just 30 years ago, and predicts records for such flooding will continue to be broken for decades as sea levels rise. 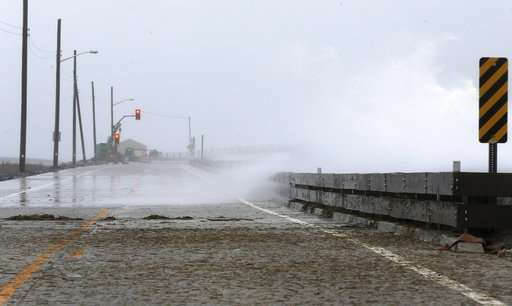 The National Oceanographic and Atmospheric Administration said Wednesday that high-tide flooding, sometimes called sunny-day or "nuisance flooding," tied or set records last year in more than a quarter of the 98 places the agency monitors around the country. The report found Sabine Pass in Texas had 23 days of high-tide flooding last year, while Atlantic City, New Jersey and Boston had 22 each. Cities in other parts of the country experienced fewer tidal floods, but many of those cities still saw records set. 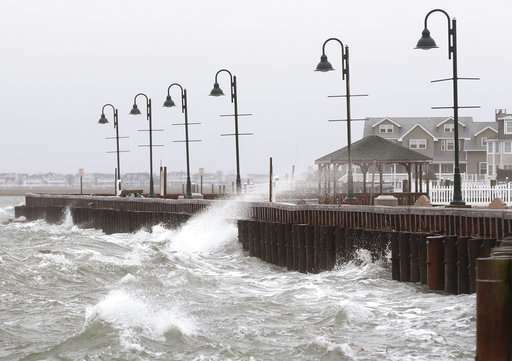 "Though year-to-year and regional variability exist, the underlying trend is quite clear: Due to sea level rise, the national average frequency of high tide flooding is double what it was 30 years ago," the report said. Ben Horton a Rutgers University researcher who was not involved in the study, called it "a warning, a shot across the bow." "Across the whole of the U.S. coastline, we are in dire need of action," he said. In addition to the conclusions of the report, Horton said it is just as significant that "this is a federally funded sea-level assessment funded by the Trump Administration, and it shows that the problems on our coasts are getting worse and will get worse." The Republican president has derided climate change as a hoax. As sea levels rise, coastal communities around the U.S. are experiencing flooding that closes roads or inconveniences daily activities on an increasing basis. Two of the three main entrances to Atlantic City, the east coast gambling resort, are often flooded by tides, with one or both lanes having to be shut down for hours at a time. "What used to be uncommon is now becoming fairly common," said William Sweet, a NOAA oceanographer and co-author of the report. He said global sea levels are rising at a rate of about 3 millimeters a year, or about an inch every eight years. Horton and other Rutgers researchers project that by 2050, seas off New Jersey will rise by an additional 1.4 feet (0.4 meters). The report found tidal flooding was at record levels last year along parts of the southeast Atlantic and eastern Gulf coasts. And San Diego experienced a record-breaking 13 days of high-tide flooding. Anticipated weather conditions this year and next may result in even higher than expected flood frequencies along the east and west coasts.